Back Bay Books, 9780316216456, 432pp. The wellsprings of desire and the impediments to love come brilliantly into focus in Evelyn Waugh's masterpiece-a novel that immerses us in the glittering and seductive world of English aristocracy in the waning days of the empire. Through the story of Charles Ryder's entanglement with the Flytes, a great Catholic family, Evelyn Waugh charts the passing of the privileged world he knew in his own youth and vividly recalls the sensuous pleasures denied him by wartime austerities. 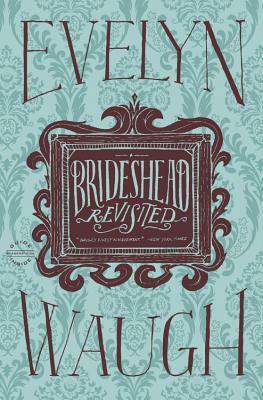 At once romantic, sensuous, comic, and somber, Brideshead Revisited transcends Waugh's early satiric explorations and reveals him to be an elegiac, lyrical novelist of the utmost feeling and lucidity. Evelyn Waugh (1903-1966), whom Time called "one of the century's great masters of English prose," wrote several widely acclaimed novels as well as volumes of biography, memoir, travel writing, and journalism. Three of his novels, A Handful of Dust, Scoop, and Brideshead Revisited, were selected by the Modern Library as among the 100 best novels of the twentieth century.